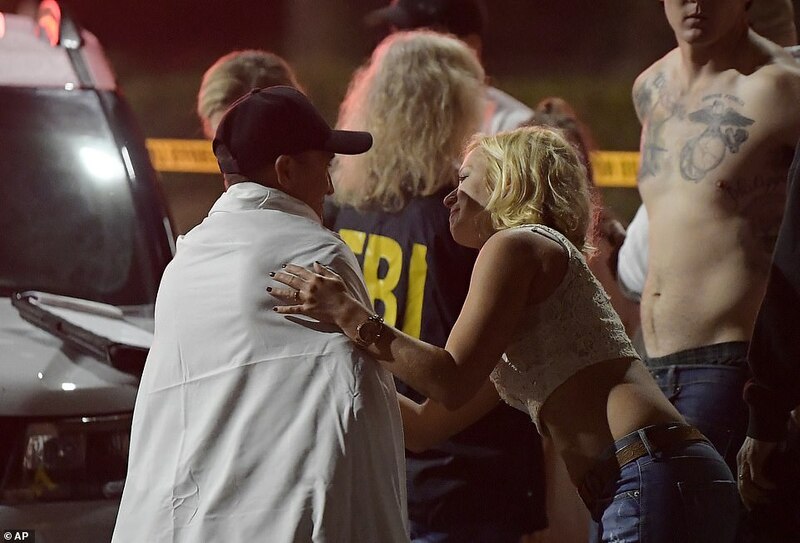 The gunman who massacred 12 people at a country music bar in southern California on Wednesday night has been identified as an honorably discharged ex-Marine whose neighbors say he was plagued with PTSD and terrified his own mother. 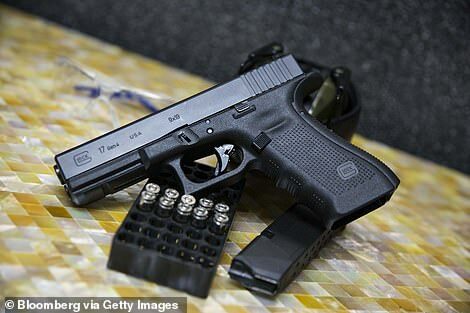 He used a Glock .45 which had an extended magazine to kill 11 people inside the bar, including 22-year-old Cody Koffman and 23-year-old Justin Meek, after opening fire on the bouncer and throwing smoke grenades among the crowds to confuse them as they tried to flee. 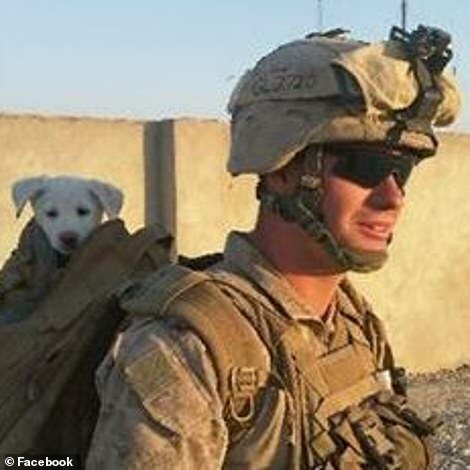 Long served in the Marines as a machine gunner for five years between 2008 and 2013, during which time he was awarded 10 medals and toured Afghanistan. The circumstances surrounding his departure are unclear but an unnamed US official told NPR he was 'not a stellar marine' and had been caught shoplifting in 2009 before he deployed. The official said he was honorably discharged. He was acting 'irrationally' and was 'irate' so police called in their mental health specialist but they cleared him, deciding against having him committed. 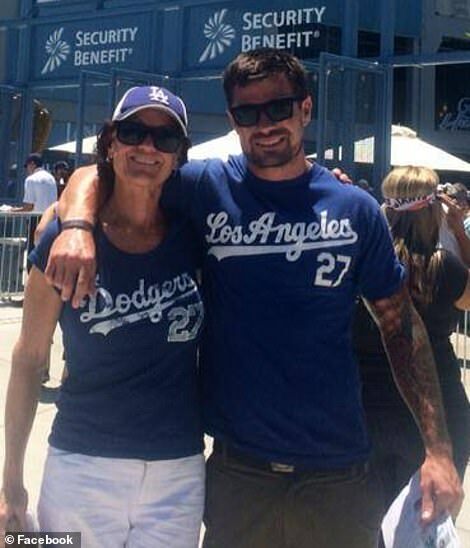 Neighbors told DailyMail.com on Thursday that his mother Colleen was 'terrified' he was going to harm himself or others. 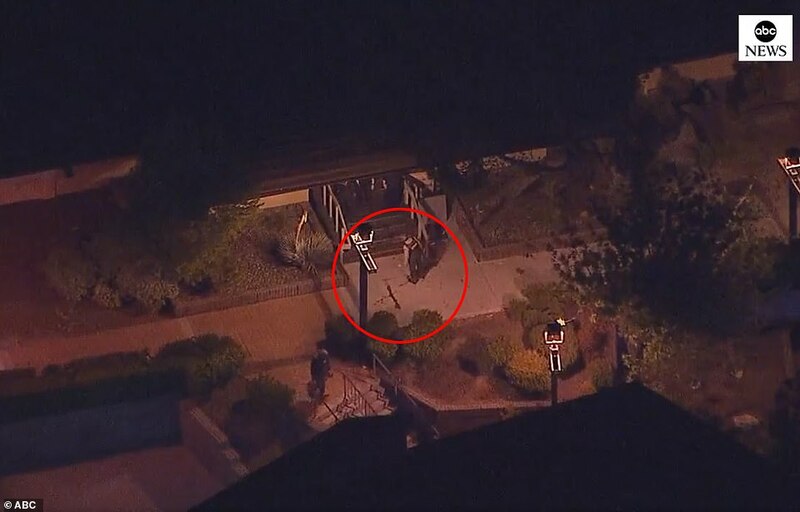 It is unclear if he already owned the weapon he used to commit Wednesday's attack or if he bought it after the April incident. Long has no criminal history except from a minor traffic infraction. 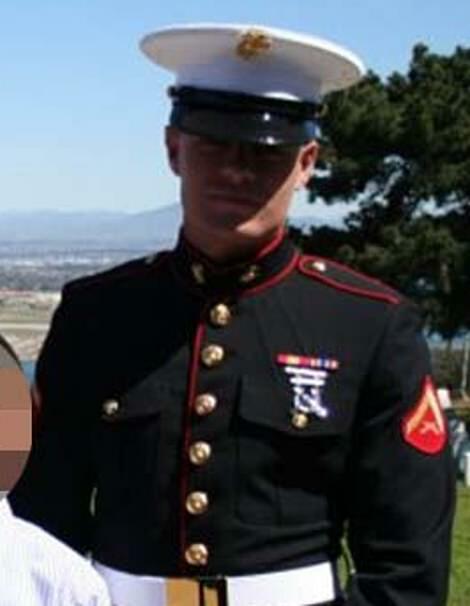 Long served in the Marine Corps for five years between 2008 and 2013 and he toured Afghanistan . All are relatively standard issue. 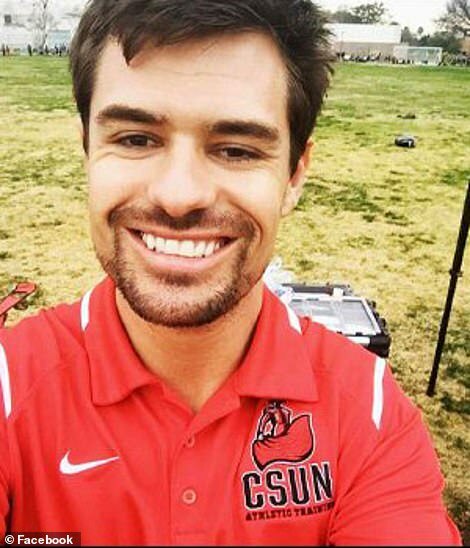 After leaving the Marines, he took a job with California State University Northridge where he attended classes as a student until 2016. 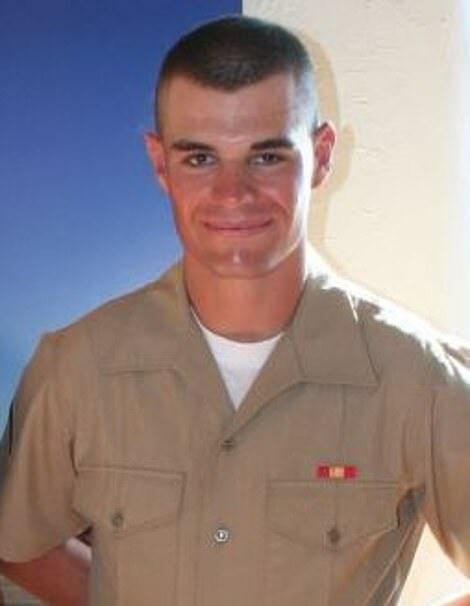 2008: Long joins the Marines on August 4, 2008. He was 18 at the time. 2011-2013: His last known assignment was in the 2nd Battalion, 3rd Marine Regiment, Third Marine Division, based out of Kaneohe Bay, Hawaii. March 3, 2013: Long leaves the Marines. The circumstances are unknown. 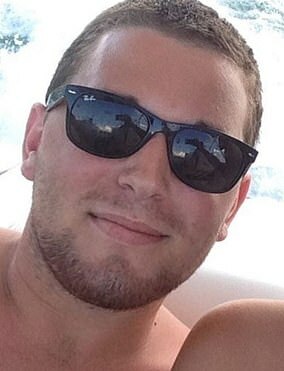 Blake Winnett, who claims to have shared an apartment with him in 2014 while he was a student there, told The New York Post that he was a 'loner' who danced alone in their garage. 'That's not my f****** job' when Winnett asked him to take out the trash. 'He wasn’t violent but he was mean. He would go to the gym and then he would, I guess, try to learn dance moves or something. 'He would close the garage and be playing music and dancing in there, like sweating. I would open the garage and would be like, "What are you doing?"' he said. He had been studying athletic training. Sometime after dropping out of college, he returned to his mother's home in Newbury Park. One neighbor told DailyMail.com that his mother 'lived in fear' that something would happen to him. 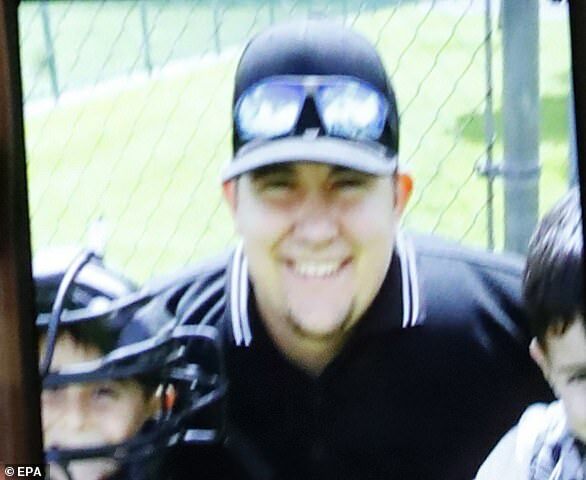 Cody Coffman's father Jason confirmed his 22-year-old son was among the 12 dead victims. The distraught father rushed to the bar after hearing news of the shooting and calls to his son's cellphone went unanswered. Jason used a tracking app on his son's phone and it indicated the device was still inside the venue. 'The first thing I said was 'Please don't drink and drive.' The last thing I said was 'Son, I love you',' he said. Cody had plans to go into the military and was speaking with U.S. Army recruiters. Jason said he was alerted to the shooting when several of Cody's friends started banged on their front door after 1am. 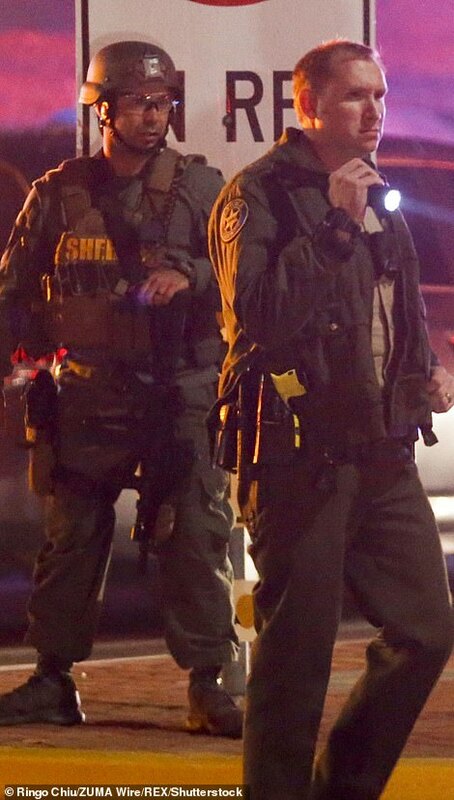 Ventura County Sheriff's sergeant Ron Helus, 54, was first on the scene of the shooting on Wednesday night. He was a 29-year veteran of the department. He was speaking to his wife Karen when he received the call about a mass shooting. The last thing he said to her was: 'Hon, I got to go, I love you. I gotta go on a call'. Alaina's Apple Watch and iPhone appeared to still show her location as inside the bar. She was at the bar with several friends who have all been accounted for. 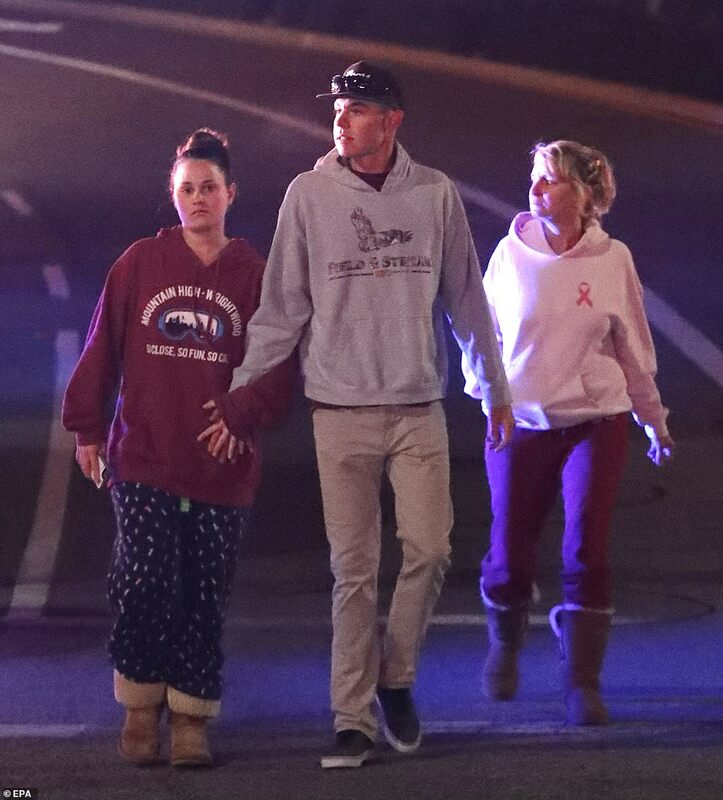 The 21-year-old has not made contact with his parents in the hours after the shooting. 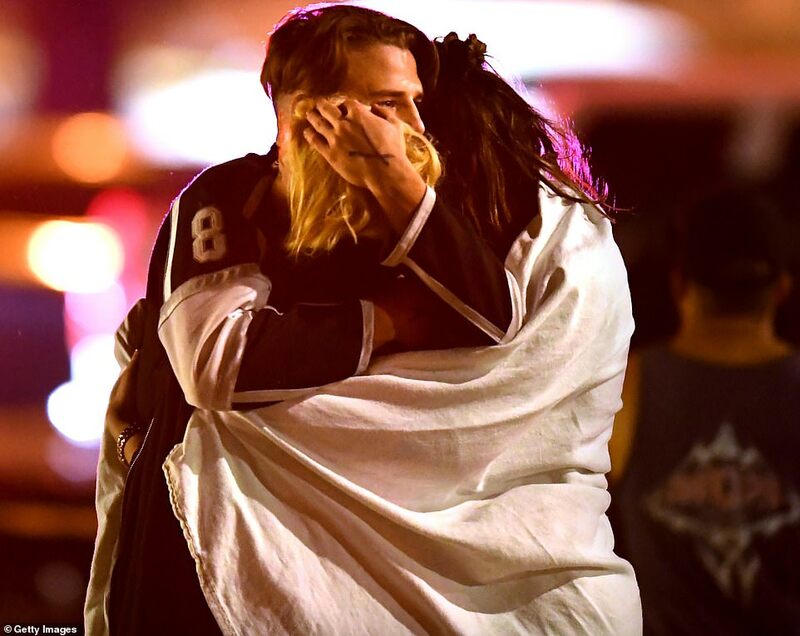 He had gone to the bar to play pool with his friends, his father Ken Dunham told NBC Los Angeles. Richard Berge lived around the corner from alleged shooter Ian David Long and had taken care of the family's dogs. Berge, 77, said Long had smashed furniture and kicked in walls inside the family's house and that his mother, Colleen, was afraid the problem would escalate. She lived in fear in case something happened. He wouldn't get help. She was beside herself and didn't know what to do. He and other neighbors described an incident in April this year, when a neighbor called the police after hearing loud crashes coming from Long's house. Berge said multiple police cars rushed to the home and found Long had kicked holes in the walls and broken furniture. Berge said that all the neighbors believed Long was suffering from PTSD. Berge described Colleen as a 'wonderful woman', and a 'very sweet lady'. 'She's a wonderful woman but she was just going through hell with her son. Now she's got to live with this. 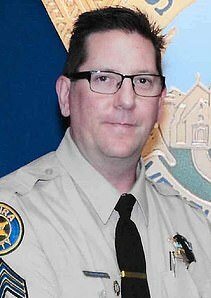 Sgt Ron Helus, 54, of the Ventura County Sheriff's Office was speaking to his wife Karen when he received the call about a mass shooting at the Borderline Bar & Grill in Thousand Oaks on Wednesday night. 'He said, "Hon, I got to go, I love you. I gotta go on a call,' Sheriff Geoff Dean told the Los Angeles Times. 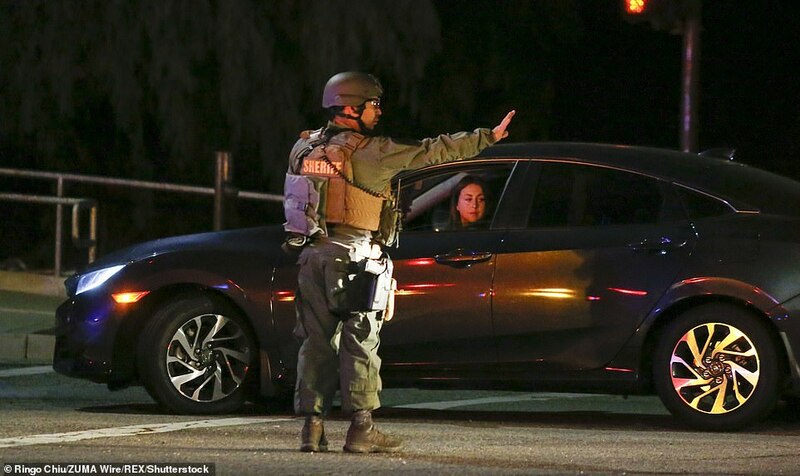 Helus and another officer from the California Highway Patrol arrived at the scene of the massacre at 11.23pm on Wednesday night - three minutes after the 911 call went out. 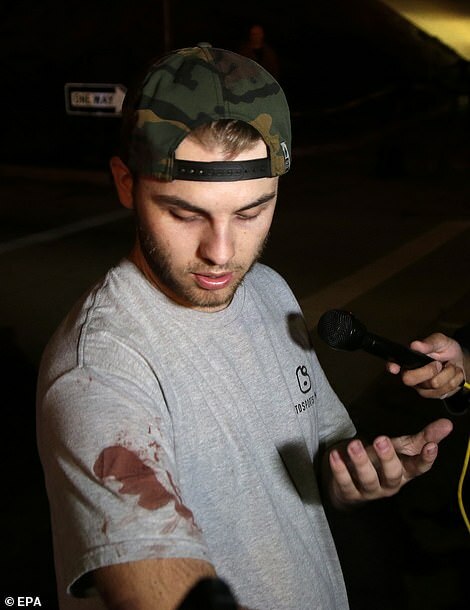 After hearing gunfire coming from inside the bar, which was occupied by nearly 200 college students, Helus rushed through the front door and confronted the shooter. 'They knew they had to take action and they went in and did what they had to do,' Dean said. Helus was shot several times and had to be pulled out of the line of fire by the CHP officer. 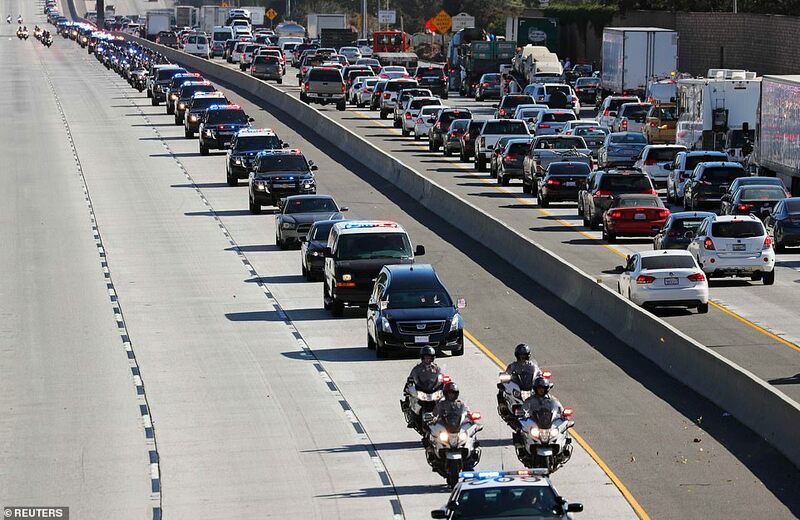 The sergeant was rushed to Los Robles hospital, where he died an hour later. Twelve people, includinG Helus, were shot and killed in the incident, and numerous others were wounded. 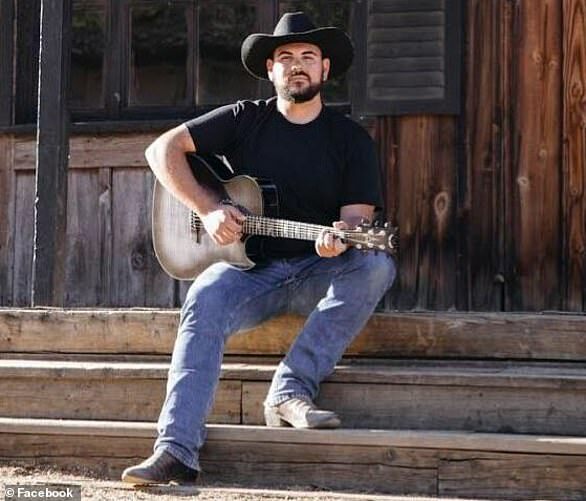 The gunman, who has since been identified as 28-year-old Ian Long, was also found dead inside the bar and is believed to have killed himself. 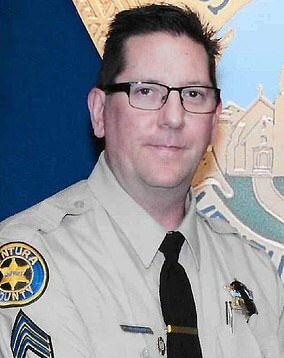 Helus was a 29-year veteran of the Ventura County Sheriff's Office and was planning to retire in the next year. Dean said he was 'totally committed' to his job and 'gave his all'. The father-of-one is survived by his wife Karen and son Jordan. Helus' Facebook profile is full of photos of the officer and his son hunting, fishing, and playing with their dog together. The family man referred to his son as 'my boy' in dozens of posts and spoke of how proud he was of Jordan. Helus had worked in the narcotics division of his department and was also on the SWAT team for many years. 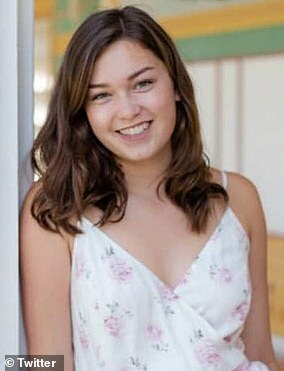 Another neighbor, June, told DailyMail.com, she also recalled the incident in April. 'The only time I knew about him [Long] was in April when they had the police activity here. I thought "oh that's Colleen's son." 'It would start and then it would stop and then it would start and then it would stop and then it would get really loud and I hear this shouting. 'I thought, "Man, what’s going on out here?"... I mean it's a quiet neighborhood. I didn't know if he was hurting himself,' he said. Hanson said that he 'assumed' he would get mental health treatment afterwards because police spent a while in the house. 'I assumed he was getting some type of mental health treatment and follow-up on that. Since that time, there has not been any more of those types of problems here,' he said. Berge added that the family had been having trouble with their three German Shepherd dogs. Long's father David died at the age of 46 in 1999. 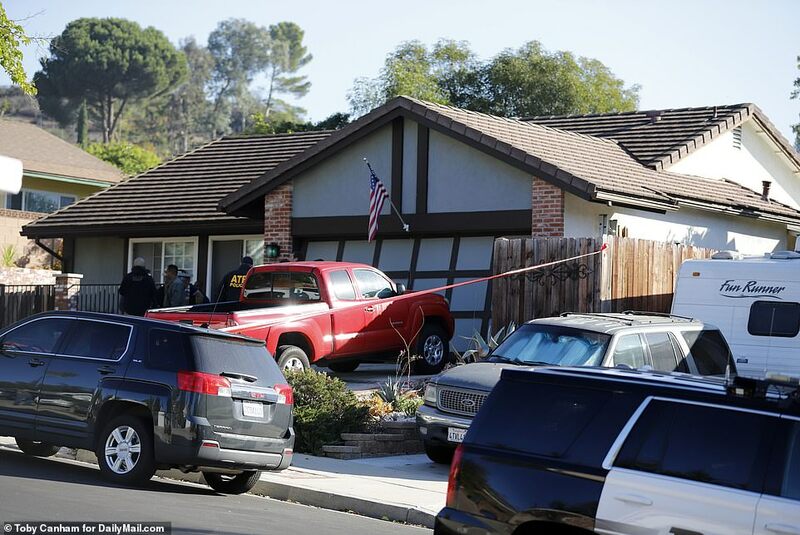 The house was surrounded by police and FBI officers, and cordoned off with red crime scene tape by Thursday morning. Officers were waiting Thursday morning for a judge to sign a warrant to search the home. Long's mother's red truck sat in the driveway. He used another vehicle of hers to get to the Borderline Bar and Grill. 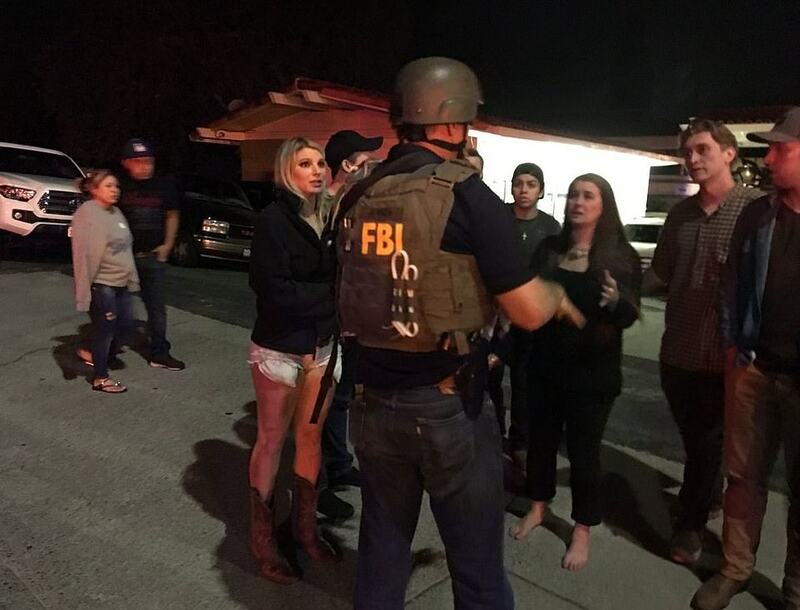 'We do not know at this time how many the magazine could actually hold because it's still being processed,' Ventura County Sheriff Geoff Dean said on Thursday, adding he had 'no idea' what his motive for the attack was. The cop who was killed was one of the first on the scene. 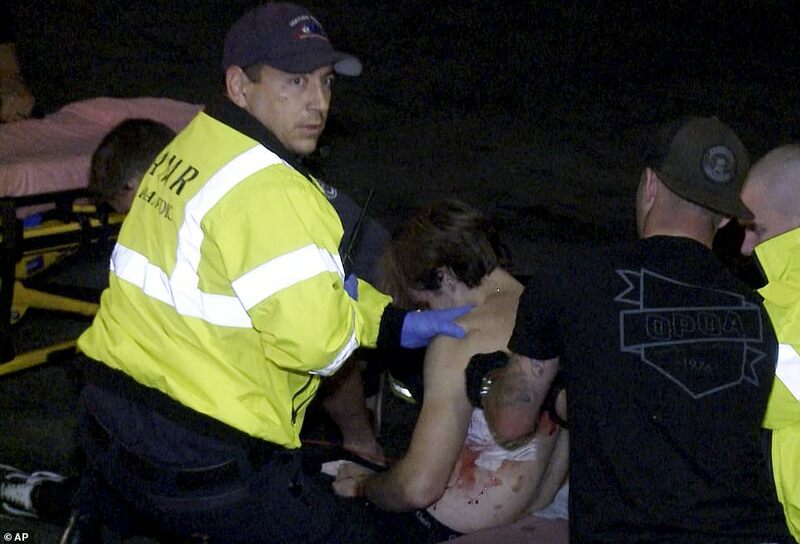 He fearlessly ran into the bar alone after hearing the 911 call on his radio. Helus was on the phone to his wife at the time when the call came in. He walked up to the entrance at 11.20pm and shot the bouncer before making his way into the venue. The bar is popular with college kids because it allows under 21s in on Wednesday nights. 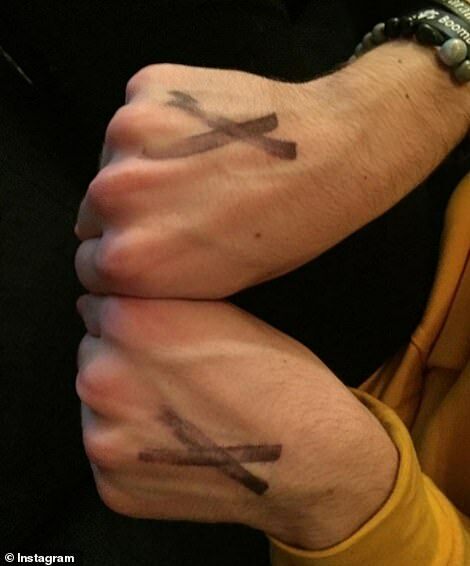 Those who were not old enough to drink had black X's stamped on their hands. 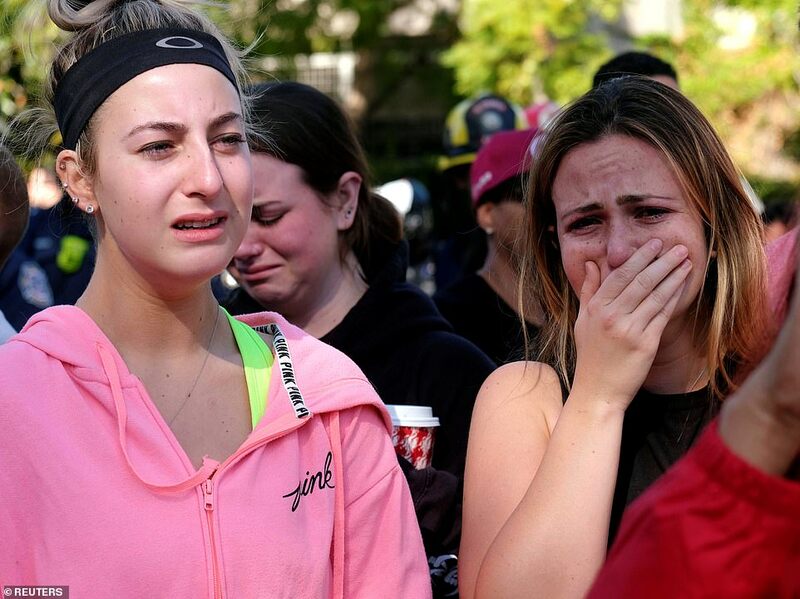 Pepperdine University confirmed on Thursday morning that some of its students were among those in the bar. It is unclear if they were among those killed. 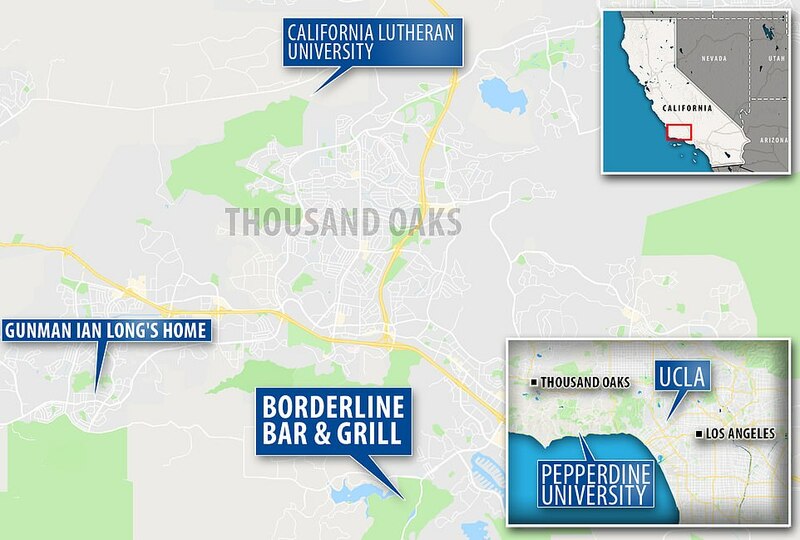 'The University has determined that multiple Pepperdine students were on site at Borderline Bar and Grill in Thousand Oaks. 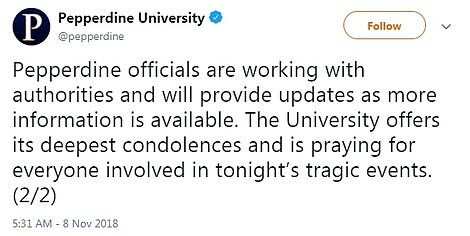 At this time, the University is working to identify and provide support to those students. 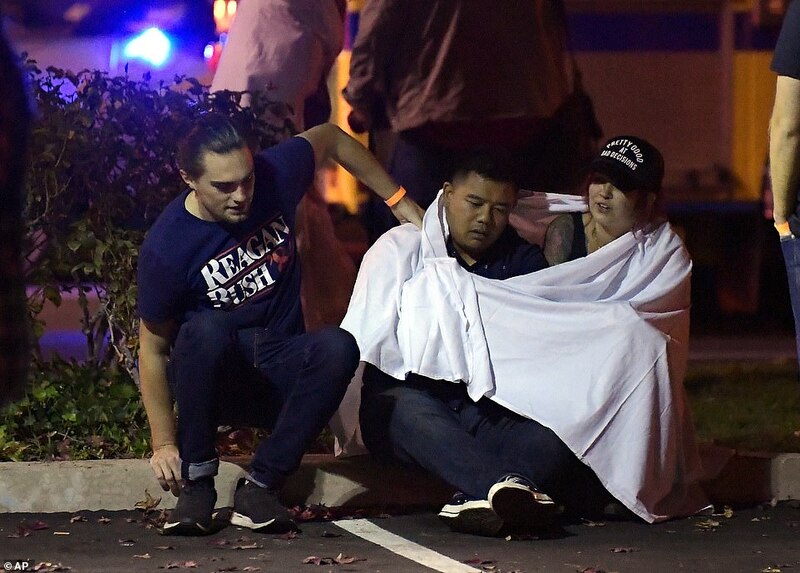 A spokesman for California Lutheran University told DailyMail.com: 'The Cal Lutheran community is grieving over what happened last night. 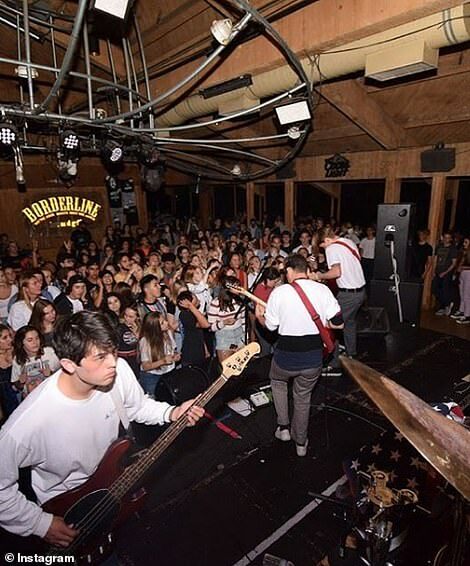 We know some of our students were there. They later confirmed student Justin Meek's death. Meek, 23, worked at the bar and died trying to save others' lives, they said. 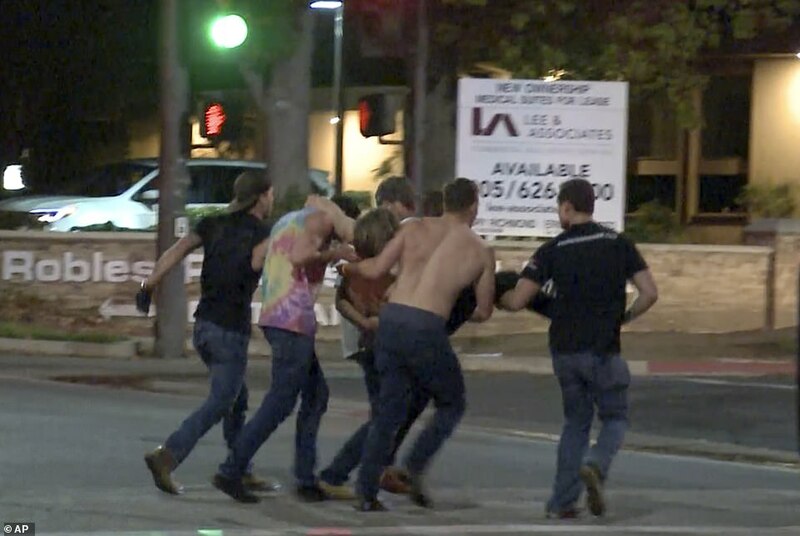 'The Cal Lutheran community is filled with sorrow over the violent events that took place last night a few miles from campus in Thousand Oaks. ''Sadly, we have learned from the family that a recent graduate, Justin Meek, 23, is one of the precious lives cut short in this tragedy. Meek heroically saved lives in the incident,' they said. 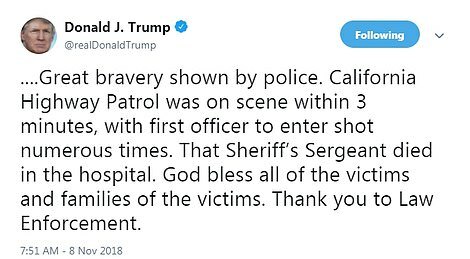 On Thursday morning, President Trump tweeted about the mass shooting, saying: 'I have been fully briefed on the terrible shooting in California. Law Enforcement and First Responders, together with the FBI, are on scene. 13 people, at this time, have been reported dead. 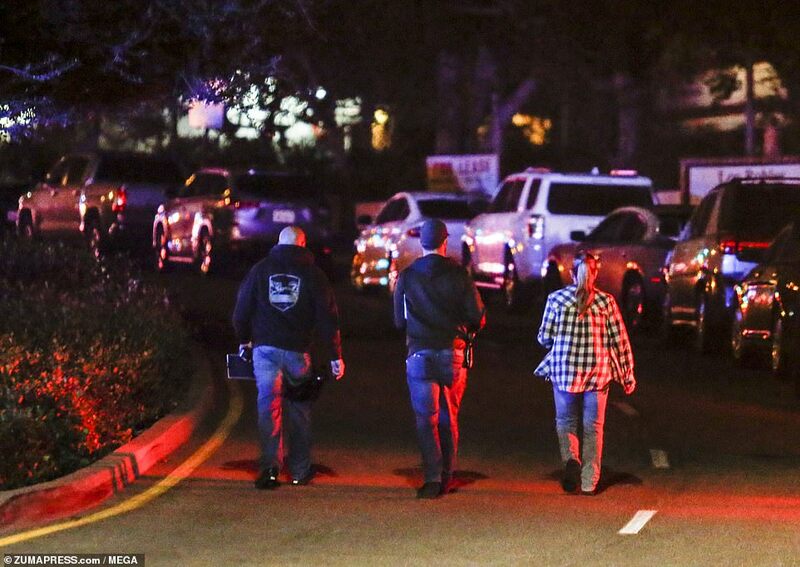 'Likewise, the shooter is dead, along with the first police officer to enter the bar. Great bravery shown by police. 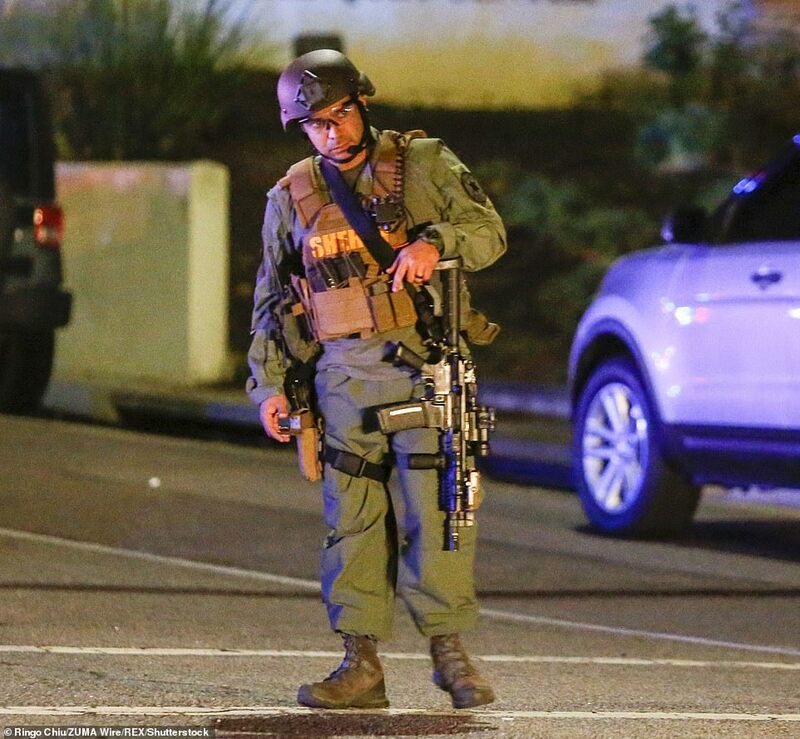 Ventura County Sheriff Geoff Dean said the scene was the worst he had seen in 41 years. 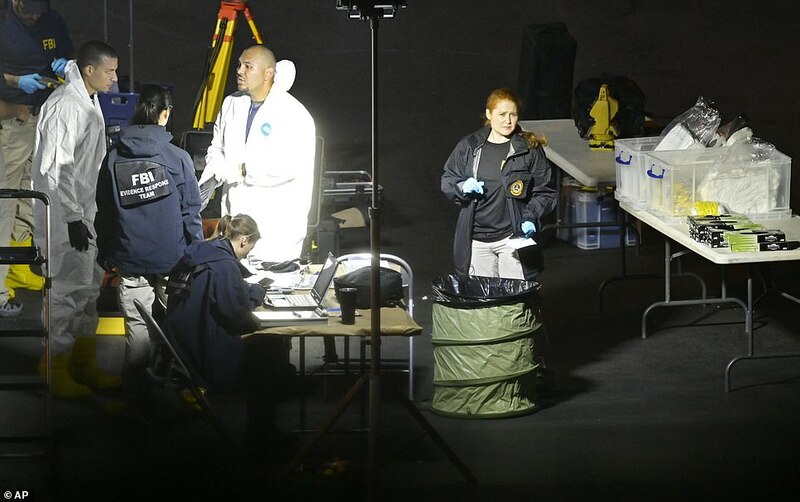 'It’s a horrific scene in there, there is blood everywhere and the suspect is part of that, and I didn’t want to get that close and disturb the scene and possibly disturb the investigation. 'This, by far, is the most horrific thing I've seen in my 41 years,' he said. Dean was due to retire on Thursday, the day after the shooting. He and Helus were friends and worked out together. 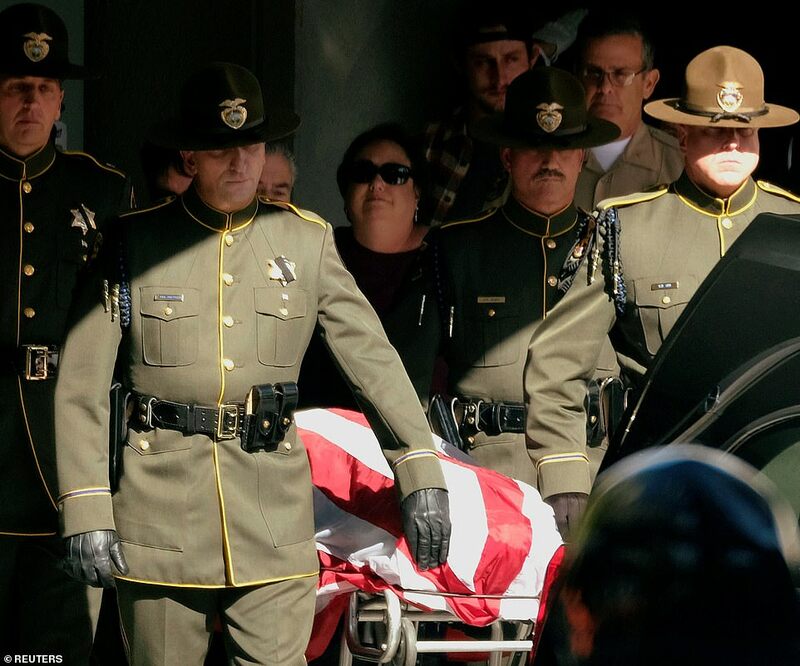 Paying tribute to him, he said: 'Ron was a hardworking dedicated sheriff's sergeant. Classes at California Lutheran, which is also nearby, were cancelled. 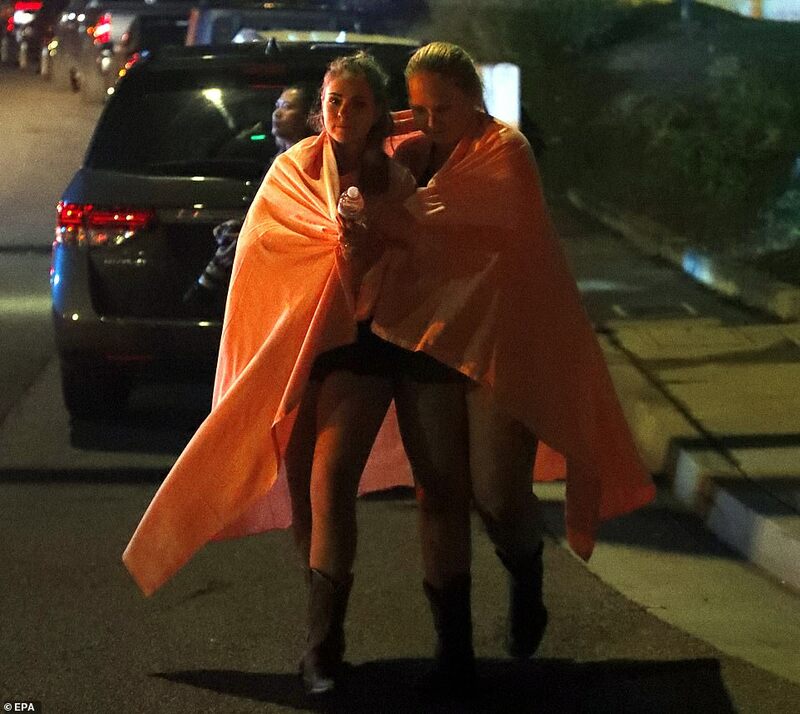 People were hiding from the shooter in bathrooms and attic spaces, while others who managed to escape fled to nearby gas stations for medical help. Terrified dancers used bar stools to smash the windows so that they could climb out and flee. John Hedge said he was with his stepfather Tim Dominguez at the door preparing to leave the bar when Long entered and threw smoke grenades before pointing his gun at the cashier and opening fire. Fighting back tears, Hedge, said he heard a series of 'big pops' as he and his stepdad were preparing to leave. He said: 'There was probably three or four of them, I look up, the security guard's dead - I don't want to say dead but he was shot, he was down. 'The gunman was throwing smoke grenades all over the place, I saw him point at the cash register and just keep firing. 'I run out the front door, I hear chairs being thrown out the window, people were trying to get out of the windows. 'And the gunman, he went behind the cash register, he kept... there were probably 12 shots before I got out the front door,' he went on. Dominguez expressed remorse over running for safety, instead of fighting back against the gunman. 'He didn't say anything, he just started shooting,' he said. They said he said 'nothing' as he opened fire and was composed throughout the massacre. 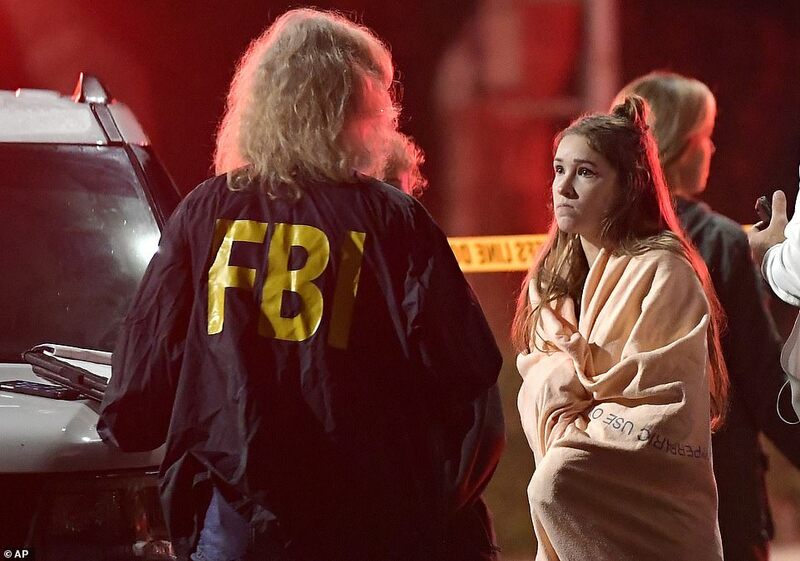 A visibly shaken student named Summer said the gunman 'was shooting everything, from the speakers to anything,' while another man Matt Wennerstrom said that while Long stopped to reload, he used a bar stool to smash a window and help 30 people run to safety. 'I heard gunshots and knew right away what it was, I turned and saw a dark figure, and decided to get out of there as soon as I could,' he said. Asked what made him decide to go back and help others, he added: 'Instinct, that's all that I could do. I had to protect my friends and family, my fellow humans. Among those who survived were people who had also fled the Las Vegas country music shooting last October. 'I was just dancing normally and I heard what I thought was a balloon pop. I was confused then I heard it a couple more times then I turned around and I saw him. 'I ran to the nearest exit and tripped and fell on the way I knocked on as many doors as I could until someone would answer me and finally someone did. 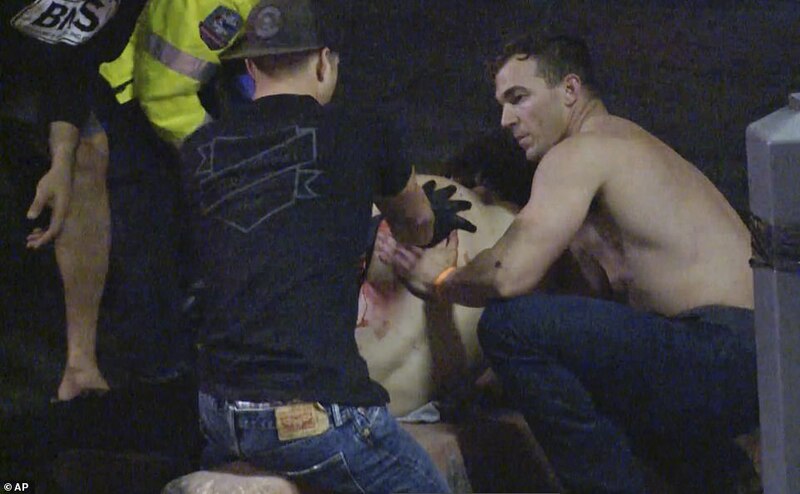 'It was awful,' Taylor Von Molt, a promoter for the club, told CNN. 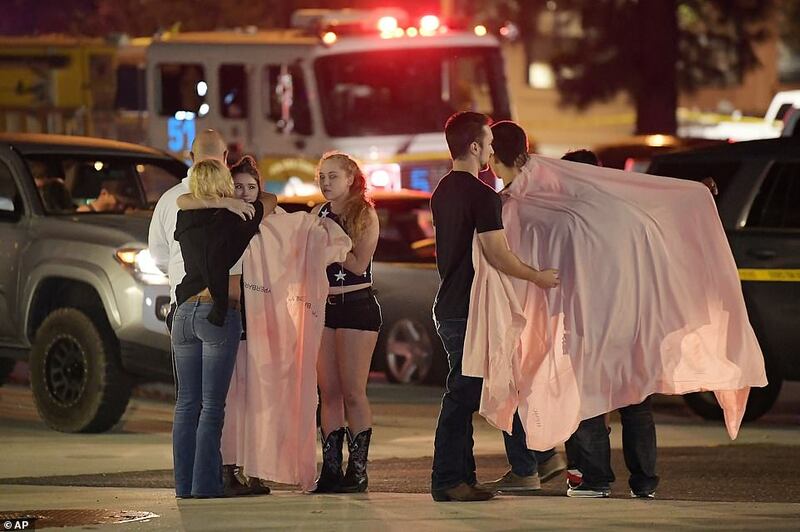 She said the gunman's mask looked like a bandanna and was covering the bottom of his face. 'He had a black mask, it looked like a bandanna, on the bottom of his face, sunglasses dark hoodie, dark jeans. He was kind of bigger, more burly. Scary,' the 21-year-old said. 'I saw three people get shot by him. 'As soon as he walked in, he had perfect form. I'm born in a military family and I've been around guns my entire life so I know a bit about them. 'He looked like he knew what he was doing. 'He had practiced, he had been shooting before,' she told Fox News. She added that while the bar was popular among students, it attracted patrons of all ages. 'College students go there, high school seniors go there, elderly people go there. Everyone who loves country goes there,' she said. Among the survivors is a member of the Navy who led others out of the windows after smashing the windows with bar stools. 'We heard a lot of screaming and we dropped to the ground. My friend is a DJ, she cut the music. 'My first instinct was to smash the window. We jumped out,' he told KTLA. 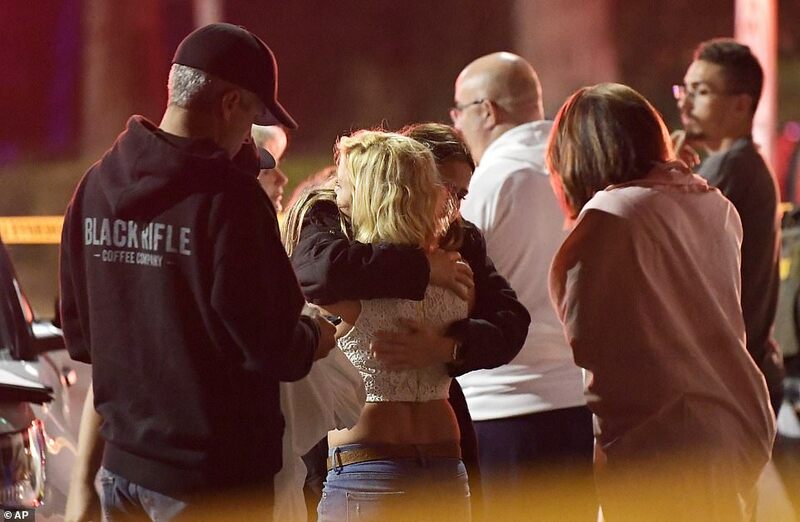 Several minutes after the gunman opened fire, a SWAT team arrived and found the 11 victims dead inside. 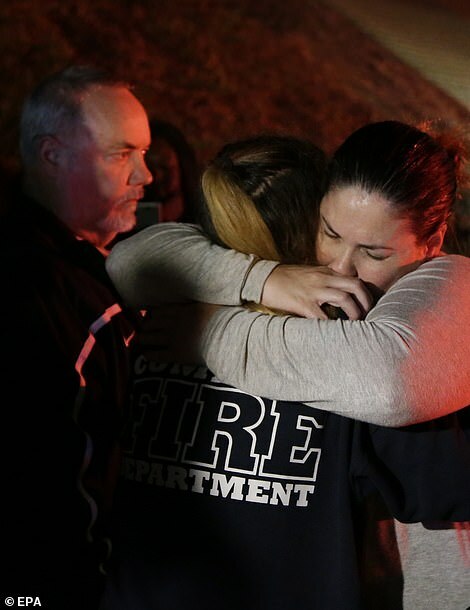 Several people are still unaccounted for including 22-year-old Cody Coffman whose father Jason flocked to the bar after he heard the news to find him. Other parents have done the same and have used looked to their kids' iPhones locations to try to find them. Their devices are still inside the bar and they have not been heard from since the shooting happened. 'I want my son. I want to know. I'm not.. if the Lord took him away, we know that he's in a better place but if he's not, please let us know. Let me know. 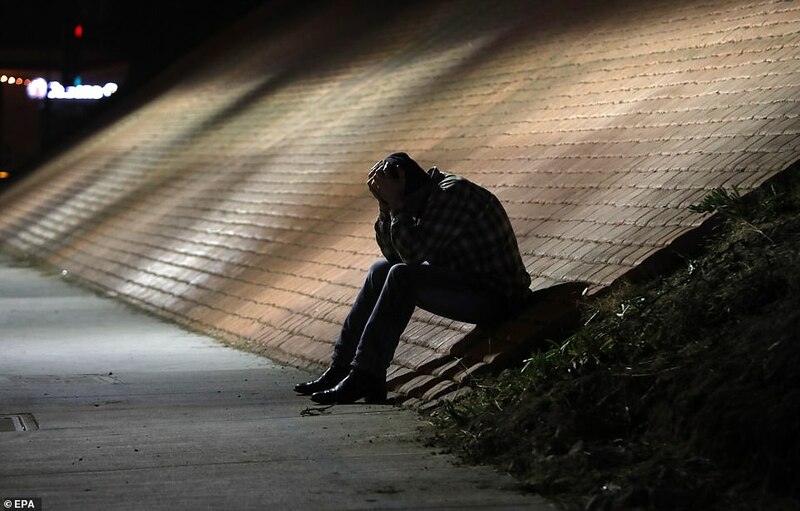 'I am clueless on what's going on,' Cody's father Jason wept outside the bar. There were 100 people inside the bar when the gunman opened fire, police said, and the number of casualties is 'very likely' to go up. One witness told ABC7: 'I was at the front door talking to my stepdad. I heard these big pops. 'There were three or four and I hit the ground. The security guard was dead and the man had a handgun. He threw in smoke bombs and he kept firing. People threw chairs out of the windows to try to get away. Another witness said: 'This maniac came in. Threw in smoke to confuse people and opened fire on the dancefloor. He's taken many young lives. 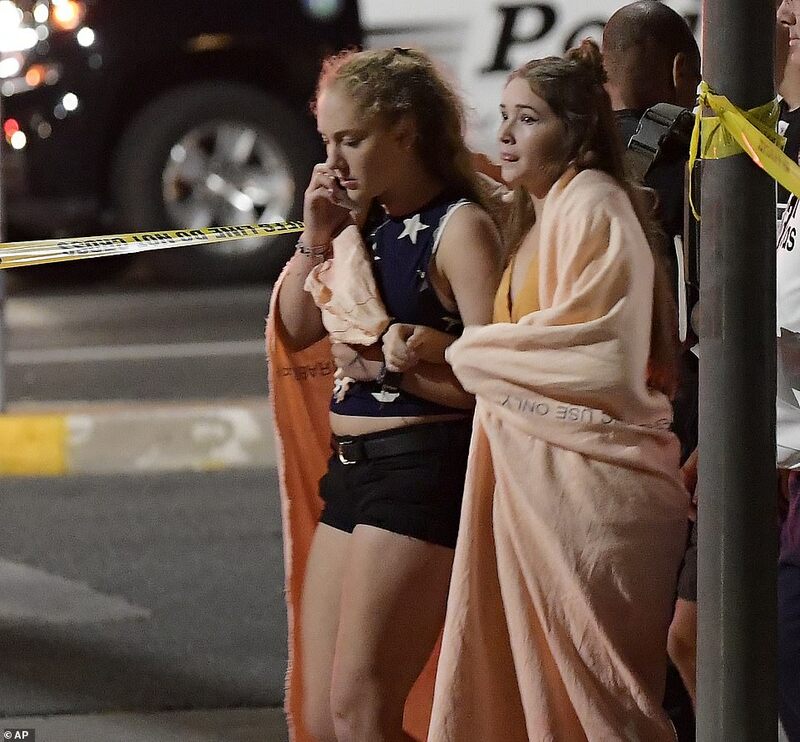 Witnesses reported a horrifying scene as gunfire echoed through the club and those inside ran for cover, in some cases breaking windows with chairs and other pieces of furniture to get out of the building. Local hospitals have been inundated with victims who've transported themselves to emergency rooms with injuries seeking medical help. One witness, who was at the bar with his step-son, described the sequence of events. He said: 'He shot the front doorman, who was just a young man. 'Then he shot the cashier, just a young girl. Then he started moving to the right. He wasn't looking at us. Then he went into the office, where all the cash and stuff is.